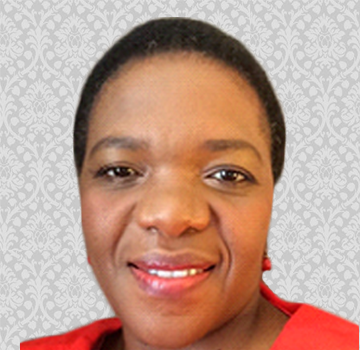 Bongiwe Ndondo is an accomplished development practitioner with over 15 years in the civil society sector. She holds a Master’s Degree and has worked in various portfolios including public health, human rights, health equity, social justice and evaluation science. She has extensive experience in conceptualising and managing regional and domestic programmes aimed at awareness raising, behavioural change and advocating policy. She also has valued experience working with various stakeholders at national and regional level, including governments, RECs and the AU and some UN agencies. She former vice chair of Global Fund Civil Society Principal Recipients Network and is currently supporting a civil society initiative aimed at strengthening the coordination of SRHR interventions by civil society in the East and Southern Africa region. Has also been involved in various technical work teams within government and other civil society structures in health, education, poverty alleviation and gender equality. Bongiwe is a decisive manager who strives to find solutions to complex challenges.